We had a great visit in Lynn this past weekend working on a project for Compass Working Capital. 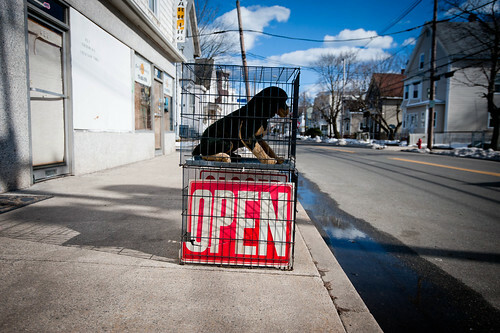 We came across this caged animal on Chatham Street, a pet grooming business's attempt to get attention. It worked.